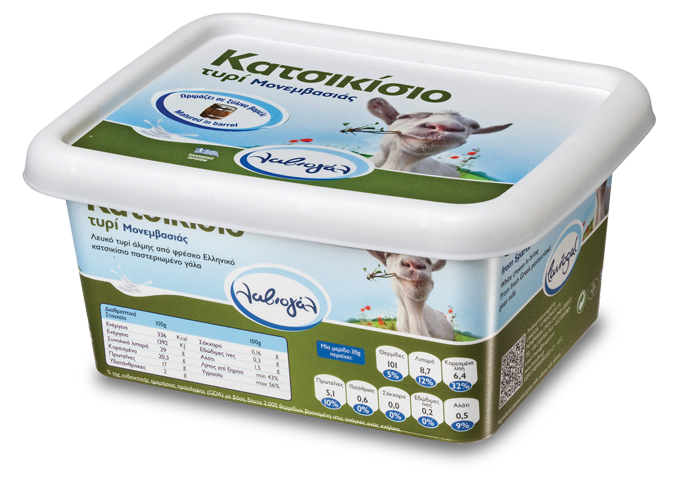 Goat cheese or gidotiri is a traditional Greek cheese made from 100% fresh goat milk. 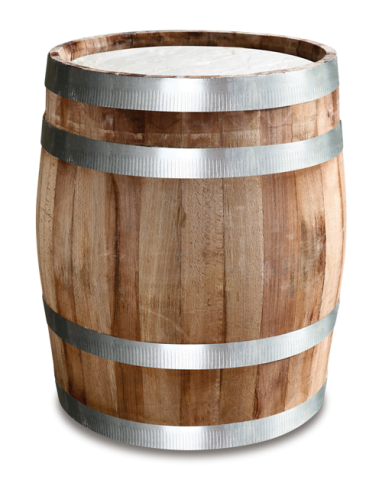 It is characterized by its white color and its unique spicy flavor. Goat cheese is consumed on its own or in salads, it’s used in pies and it also makes a perfect pairing with wine or ouzo! Its nutritional value is high as it’s a good source of B2, A and B1 vitamins, calcium, iron, magnesium, phosphorus, and protein. 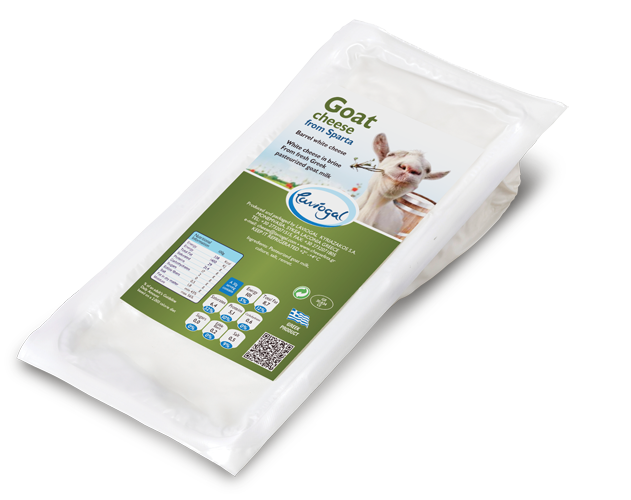 Goat cheese is also easy to digest and it’s the ideal solution for people who are cow or soy milk intolerant. 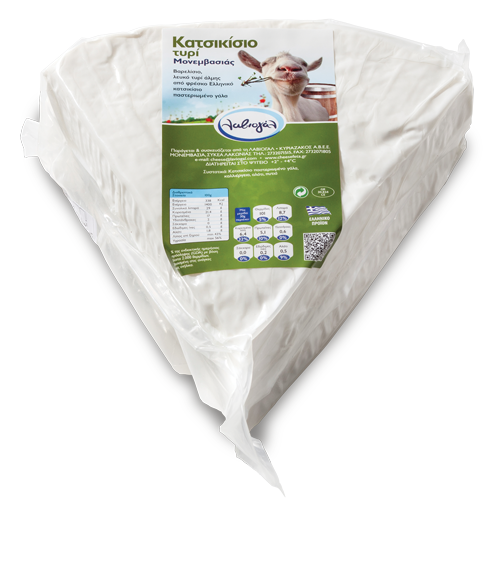 In the last years our company has focused on the nutritional value of goat milk and the benefits provided to human health by it as compared to other types of milk. 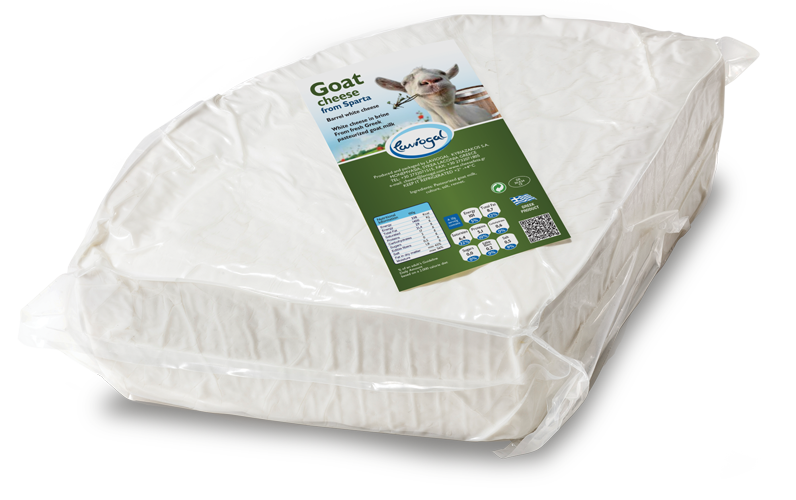 Our Goat cheese from Sparta is a traditional white cheese with a distinctive peppery and spicy flavor. 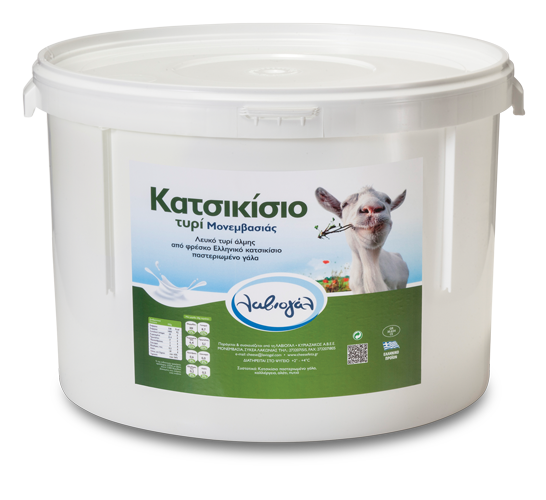 It is produced from selected fresh pasteurized goat milk collected daily from the goats that roam free in the grazing fields of the nearby mountains of Parnonas and Taygetos. 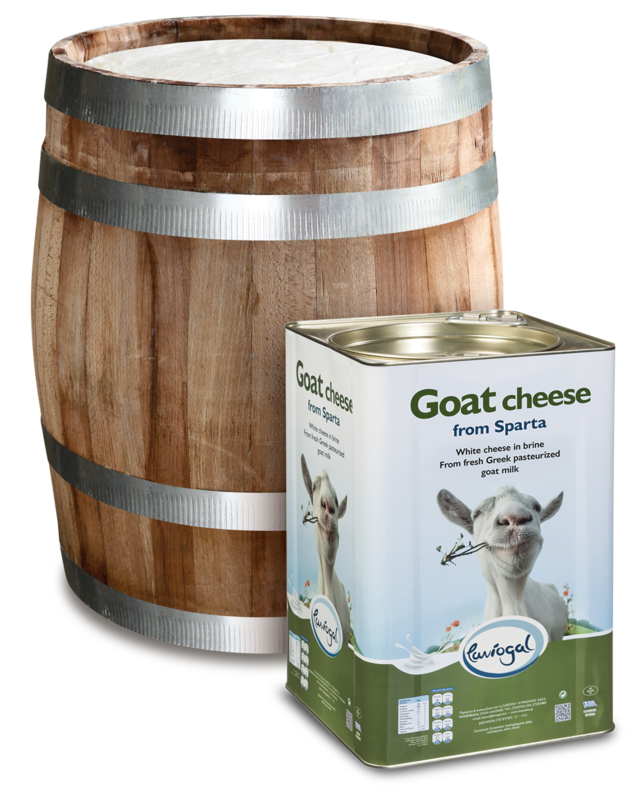 The maturation process takes place in wooden barrels under perfectly controlled conditions allowing our goat cheese to maintain its unique flavor. 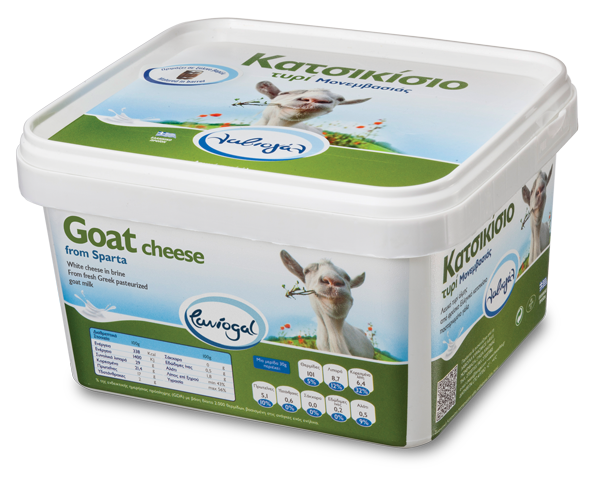 Those who love the rich flavor of goat cheese, but without the fat, can try Goat Light in a metal tin packing of 16Kg.